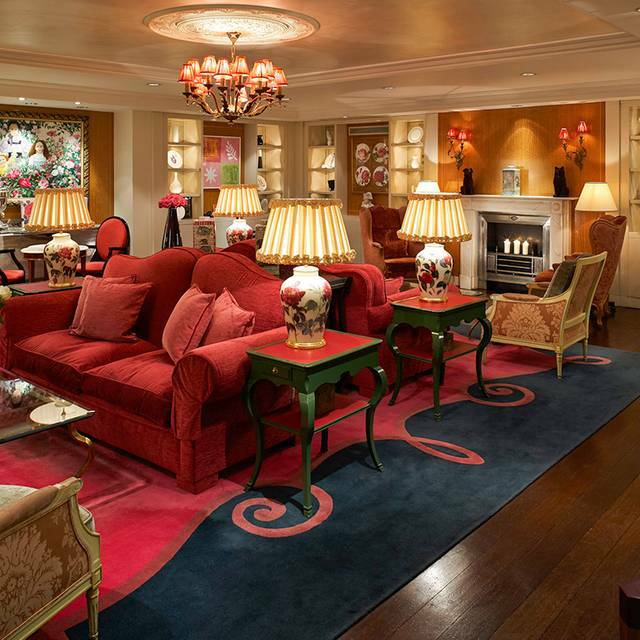 You must make bookings at least 5 minutes in advance of the time at The Rose Lounge at Sofitel London St. James. For Afternoon Tea parties above 6 guests please call us to assist you with your reservation. 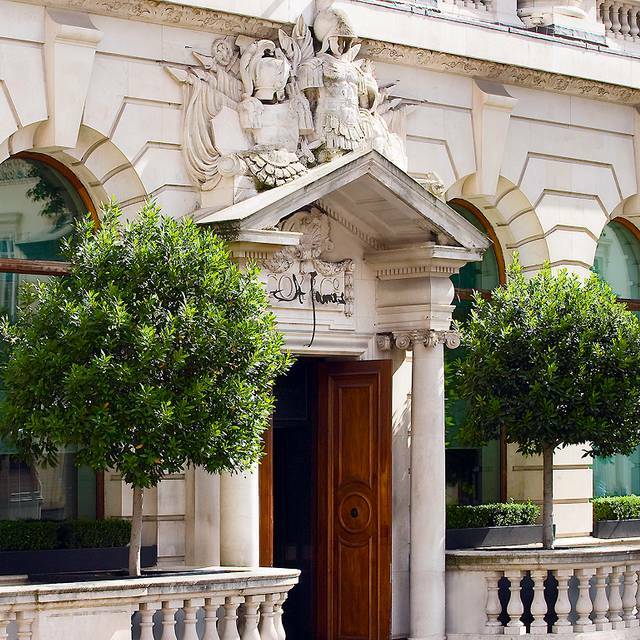 The stunning Sofitel London St James is located in the former home of Cox’s and King’s bank in the very heart of London, England. 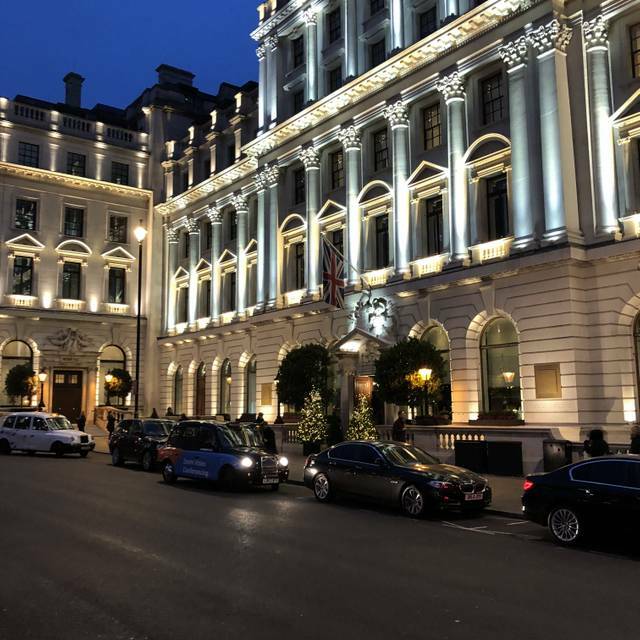 This sympathetically renovated building is English heritage grade II listed and now houses one of London's most unique five-star hotels - combining traditional British design with a contemporary style that is unmistakably French. Opening onto the main hall, The Rose Lounge features a very feminine décor with a subtle colour scheme of pink and cream, deep wool rugs and a fifties chandelier, creating a delicate and fresh ambience complemented by stunning displays of fresh roses and the sound of a harp. The rose lounge provides an informal yet elegant meeting place to get away from the hustle and bustle of the West End. I was with my mom and we would like to try an authentic English afternoon tea. We found this nice lounge randomly. The ambiance was superb, service was great, food is above standard. It is a great place to have some rest after shopping or walking. Afternoon tea served in this Lounge near the main entrance of the Sofitel St. James. The room is an explosion of pink, but it’s rather small and there are few tables, but all is proportionate. There are a lot of flower and candles. An harp player entertains the guests and the atmosphere is very relaxed. There are a selection of different teas from which you can choose what you prefer: my tea was so good and spicy. The entire afternoon tea provides a selection of sandwiches and scones and pastries, all of them were delicious. I think you have to increase the food, the angus steak was poor and the tuna was not able to finish. To bad food for that amount of money. We will not come back for the food, maybe for the music. 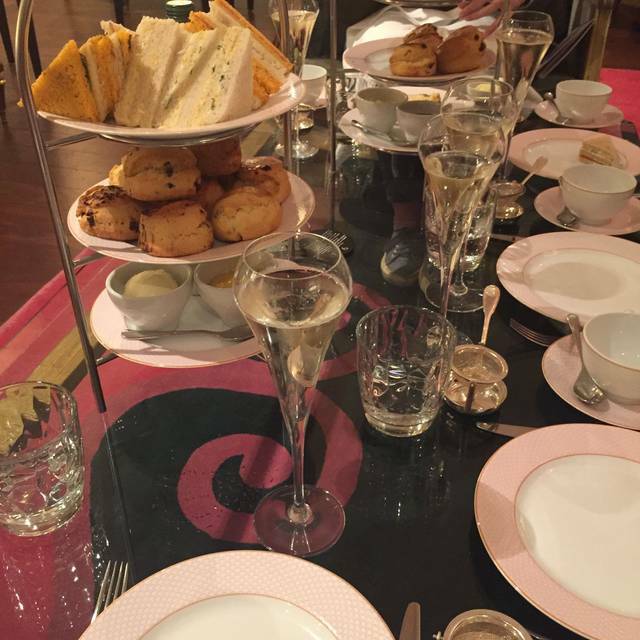 Our afternoon tea was simply perfect ! The room is beautiful and the service and food were amazing! We had a lovely gluten free afternoon tea in the Rose Lounge. The room is lovely, the staff were attentive and helpful, and the food was wonderful. A variety of sandwiches, scones and desserts. The harpist was excellent as well. Highly recommended, especially for those who are looking for gluten free. Afternoon tea/ the rose lounge/ both members of staff were all amazing and I would definitely recommended it. The only thing I was disappointed by was when the harp player came in to test the instrument which wasn’t the right time to do so when guests are trying to relax. She proceeded to play but the room is quite small so it was overbearing and not nice. The music they had playing before was much more calming. Our server was wonderful. He was thoughtful and helped walk us through our first afternoon tea. The decor was gorgeous and authentic. The service really made the experience though. We were short on time so he offered to wrap our desserts to go - so thoughtful! A lovely high tea experience. Nice decor and comfortable seating. Food was good, love the finger sandwiches while the scone was barely warm. Tea was exceptional and service was impeccable. The Rose Lounge is a space that is decorated beautifully, and when we went there was a harp player. The food was nice, but I would say the value for money it is a bit expensive for what you are getting. I suppose you are paying for the atmosphere. The cucumber salmon sandwich was the best-tasting. The service needs to be better organised. The waiters were nice and accommodating, however we saw they were spread thin between the bar and the Rose lounge, so we had to wait to put more orders in for tea or the sandwiches, and also to bring in the dessert, as we had finished for quite some time before we found someone to help. Would it be too much to ask for waitstaff to be in the room when you have a table of 6 paying £270 for afternoon tea? This is a management issue obviously. The hotel was lovely and the service was great on the day. The ambience was great and the chef also came out to see how our afternoon tea was which I thought was a nice touch. There was some confusion over priceto start with, we we’re advised by email the afternoon tea at the rose lounge was £28 and when we got there it was £45 with a service charge so came to £52. That was quite annoying based on the principle of being given wrong information. Would definitely go again. Overall it was ‘nice’, but I can’t put my finger on why I can’t rate it higher. I think it’s because it seems like it was an afterthought as to what to do with this small space beside the reception. The decor was ‘nice’, there was a harpist which was ‘nice’, (but drowned out by the chitter chatter of business interviews). For me it doesn’t quite work. For hotel guests, business folk and regulars it’s clearly fine, but I wouldn’t recommend it for someone travelling to London for a special occasion, of which I’m sure there are plenty. I was pleasantly surprised with The Rose Lounge. I went for afternoon tea and enjoyed a cozy atmosphere complete with rose themed decor and a harpist. The food was delicious and it was not overcrowded. Will definitely return next time I'm in London. We went for afternoon tea. 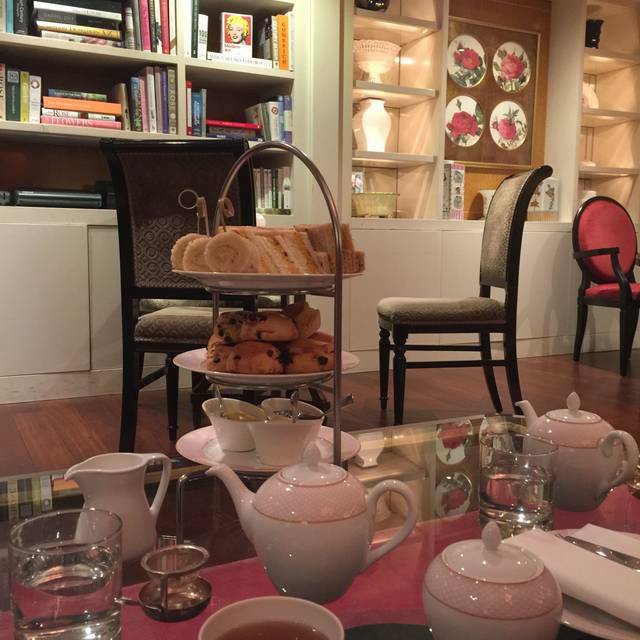 I visited the Rose Lounge for an afternoon tea with my daughter and her best friend (both 13). Although quite chique, the staff is very relaxed and welcoming. The lounge is beautifully decorated and cosy, the tea selection very extensive and the food just perfect. We found the rose macaron so delicate: when taking a little bite, it fills your mouth and nose with a subtile rose flavour/odeur. We spend over 2 hours in this oasis. The girls thought this was the highlight of our London trip. Afternoon tea was just right. Quiet and comfortable with a nice selection of quality teas, plus sandwiches, scones, and pastries. There are a myriad of afternoon Tea options in london, but I like the setting and atmosphere of the Rose Lounge. Service and setting is good with the only small caveats being the champagne they service for the bottomless sitting is of a lower quality than the champagnes on their wine list and the sandwiches, whilst very nice and not amazing. The scones and pastries more than make up for this though. All in all, it’s a great location (perfect for theatre lovers), lovely service and good food. Recommend. We had the most relaxing 2 hours you could imagine, the setting was super, the atmosphere was tranquil, the tea was excellent and the staff could not have been more attentive, I wish I could do it every Saturday, well done!! Lovely afternoon tea with friends. Cosy atmosphere with beautiful harp music. Food was good and staff were attentive and friendly. 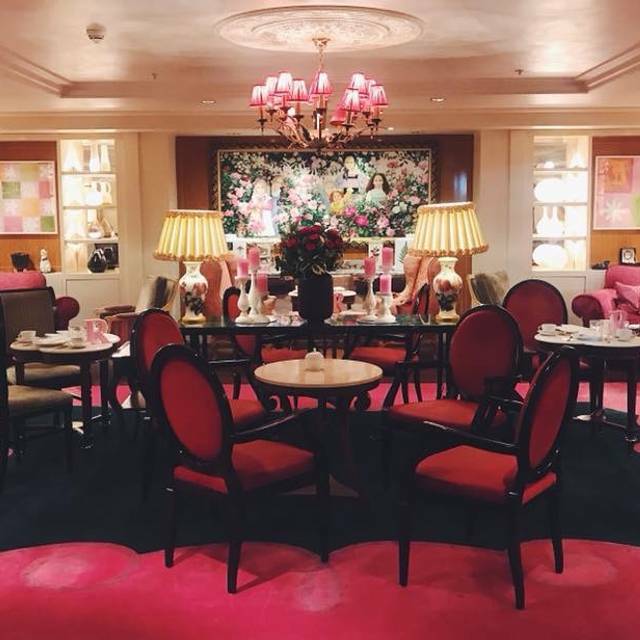 The Rose Lounge is beautiful on first look and is definitely a lovely place for Afternoon Tea. On closer inspection it does look a little dated and more could be done with the space. The afternoon tea itself was lovely and staff were very helpful with catering to dietary requirements. Would definitely return. The staff, service and food were amazing. We went for afternoon tea for our birthday. This is so much better than the Chelsea Blue Bird. I would definitely visit again and highly recommend it to friends and family. 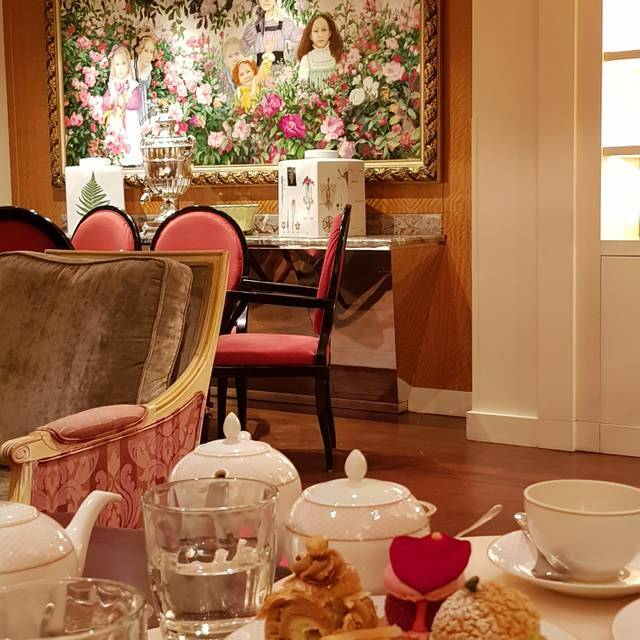 We enjoyed a quiet afternoon tea experience in the beautiful and romantic surroundings of The Rose Lounge. Lovely, relaxing, exquisite food, good value for money. We had a fantastic time in the Rose Lounge. The price was reasonable and the afternoon tea was very delicious. The service was very welcoming and friendly. I would recommend booking the Rose Lounge because the atmosphere was very peaceful and quiet. I'll definitely visit again for another special occasion! The lounge is quite nice and cosy. However tables are really small and seating is uncomfortable. The food was acceptable, but not great. The scones were disappointing. Lovely atmosphere, wonderful service and overall special experience in London! I booked the Rose Lounge for afternoon tea, for my friend's birthday. It is quite an intimate space with only 7 or so tables for 2 or 3. It is beautifully decorated in a faux Victorian style decor. There was a harpist playing music which set the scene. We went for the free pouring champagne deal at £55. If you are planning to have at least 2 glasses it is worth doing. The service was attentive and we were well looked after. The scones were a little cold. Regarding the food offering on its own - it was fine, of average quality I would say in comparison to other 4 or 5 star hotels, however coupled with the ambiance and service it made for a delightful experience that I would recommend. Absolutely the best experience of afternoon tea I have ever had. The food was scrumptious and the ambience was incredible. Booked a champagne afternoon tea for two as a surprise for my girlfriends birthday. It was an absolutely fabulous experience and did not disappoint. It was exactly the quality, ambience and delivery of service I’d hoped for and she was thrilled. Made her birthday a wonderful day to remember. I have already recommended The Rose Lounge to friends. Just lovely. Afternoon Tea. Nice place. Elegant. Good tea and food. Really lovely room and friendly staff. The sandwiches for the high tea were good enough but the scones were just okay. The cakes were really good but there was a limit of two per person - other high teas have been more generous. Also, £6 for a bottle of water seemed to be a bit excessive. Beautiful tea room and the harpist was divine. In terms of the location of the room I wish it was in a more secluded area and not as close to the front reception but all else was lovely.